Tratok is now officially listed on the third largest decentralized exchange for Ethereum assets: Token Store. LONDON, November 15, 2018	(Newswire.com) - Tratok is now officially listed on the third largest decentralized exchange for Ethereum assets: Token Store. This brings the total amount of exchanges which have officially listed Tratok to three, giving Tratok access to the potential liquidity of USD $2.5 billion per month. Token Store was chosen due to its size, ease of use and the security of the exchange. 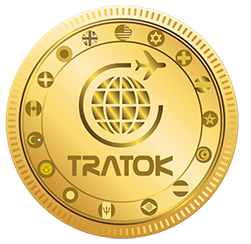 It is an important part of Tratok’s vision to be easily available to everyone and ensuring widespread public adoption of the travel token. This latest partnership means Tratok can be bought and sold on yet another legitimate and reputable exchange. Previously, Tratok's custodian, Mohammed Altajir, had stated that the team outright refused to work with exchanges that fake their volume, ask for bribes or fraudulent projects and will only co-operate with legitimate businesses. 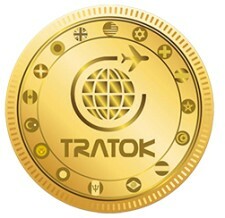 Every day Tratok lives up more and more to its vocation as a real utility token to be exchanged for products and services. It is more than a speculative commodity to be traded and the welcome received by the cryptocurrency industry and enthusiasts becomes warmer with every passing day. There can be no clearer evidence to the increasing optimism surrounding the project that the performance of the TRAT token. While the rest of the industry has been in a decline or bear market, the Tratok token has appreciated in value due to its real-world application potential and the project's transparency.